Welcome to 800 sqm of pure indulgence. 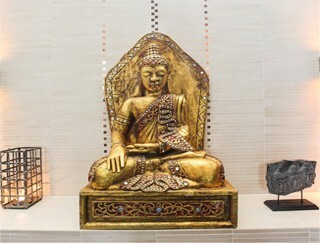 Our spa offers comfort and pure relaxation in a Bali inspired environment. The talented Ni’mat Spa is in charge of servicing our guests as well as Copenhageners at our lovely vent in the city. Buy a Spa Treat voucher when you book your stay. 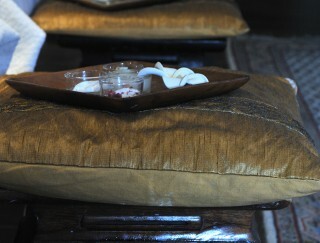 Then you will get a reservation for 1 ½ hour spa treatment at Ni’mat Spa. You don’t need to decide which treatment you want. You can decide it later with a spa hostess either by calling 33158955 or by passing the Ni’mat Spa when you check in at the hotel. When you buy a Spa Treat you will get the best price – because you book in advance. A spa treatment for 1 ½ hour has a value of DKK 1200 – but you can buy a Spa Treat voucher for DKK 999. 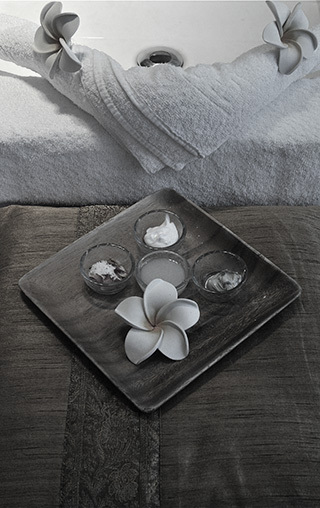 Buy Spa Treat when you book online here on our website. It may be hard to figure out which treatment to choose. Therefore, we have made this opportunity. Your treatment can be made up of massage and a spa treatment, eg. a Buddha massage, Hot oil massage by Kalahari or Ni’mats signature massage with bamboo sticks. You can combine it together with the spa hostess. See the treatments here. Ni’mat Spa has the best settings for a couples massage. All our body treatments can be booked for couples and will take place in a double treatment room. It’s a great experience to enjoy together. No matter which one of our treatments you choose, we will always listen to your wishes. 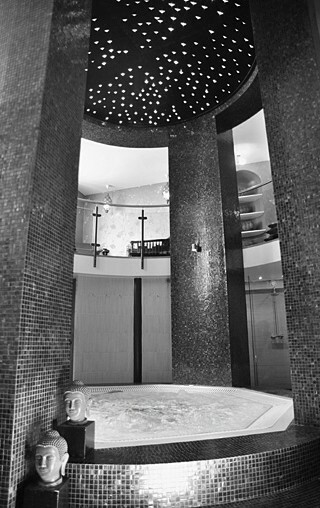 Our spa features a lovely Water Temple with a hot tub, a sauna, an aroma steam bath, a cold water bucket, and a peaceful area for relaxation. 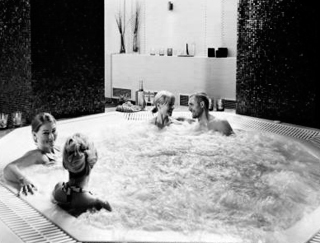 Admission to these indulging facilities is free when staying in a spa room. When you book directly with us – here at our website or by calling our booking team at 33457777, we offer an admission voucher upon arrival. This is our little extra treat, because we value direct contact with our guests very dearly. Remember to bring your bathing suit and to book a time slot for the Water Temple (read more below). For hotel guests booking their hotel stay via this website or by contacting our Booking Department: 1 time free admission is included in the room rate. You will get a voucher upon check-in. Please, remember your bathing suit. Sorry, but no admission for children under the age of 15 years in order to preserve a tranquil atmosphere.